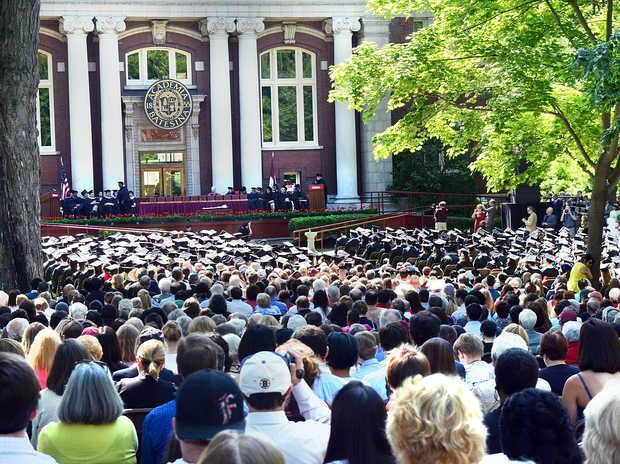 The Bates Commencement is an unforgettable event. Surrounded by your friends, family, faculty, and other people who love you, you will strike out from the Quad into a new chapter of your life. One of the most meaningful moments in the Commencement ceremony is the address delivered by a member of the senior class. The senior speaker reflects on the Bates experience, and speaks to those gathered on behalf of the class. It’s a great honor and a wonderful opportunity to share your thoughts. Would you make a great senior speaker? 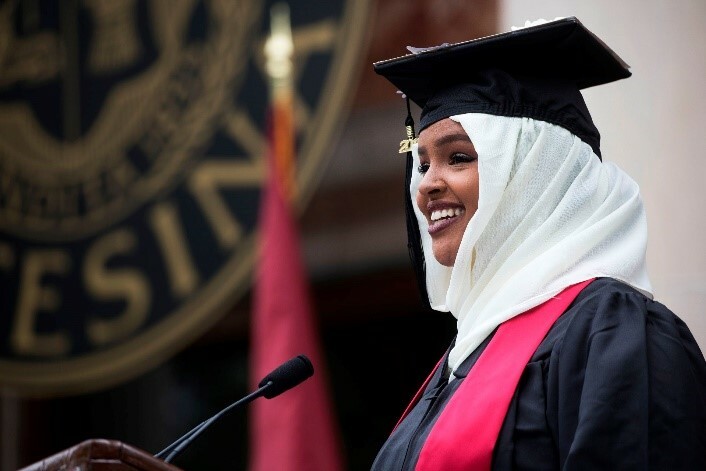 We are currently searching for the 2019 senior speaker for Commencement. Consider it! Rakiya Mohamed as the Class of 2018 speaker. 1) If you are interested in delivering the senior address, please contact Kerry O’Brien (kobrien@bates.edu) in the Dean of the Faculty’s Office by February 15. 2) Draft your speech over winter break! 3) Shortly after the break, at an open meeting for seniors, aspiring senior speakers will deliver their speech and the seniors present will vote to select the three finalists. 4) In early April, the finalists will present their speech to a selection committee of seniors and faculty. 5) The committee will select the senior speaker by the end of winter semester. ~ Your speech should be reflective of the excellence and rigor of a Bates education. ~ A great speech blends the specific (a personal story) with the general or universal (world of ideas, your broader communities). ~ Your speech should be respectful of the occasion of Commencement and of all the community gathered. ~ Your speech should be 5 to 7 minutes in length. will present an address that is an authentic expression of an experience or way of thinking formed by Bates. For more info, to nominate a senior, or to indicate your interest in serving as speaker, please contact Kerry O’Brien (kobrien@bates.edu).